Geospatial data represents a complex real time big data challenge. Redis’ new geospatial indexes introduce an extremely efficient and simple way of using geospatial data in new applications. Redis’ versatile nature makes it an exceptionally proficient database for combining geospatial data with other types of data to solve complex application scenarios. Redis’ flexibility with Lua scripting and the new Redis Modules, allow you to extend it even further to an infinite variety of application scenarios. 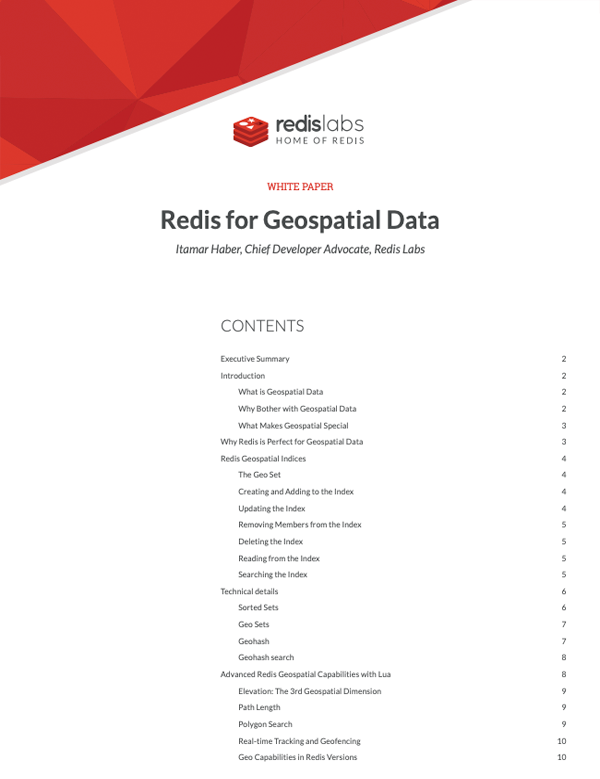 This whitepaper provides an overview of how geospatial indexes are implemented in Redis and how they can be used in application scenarios.